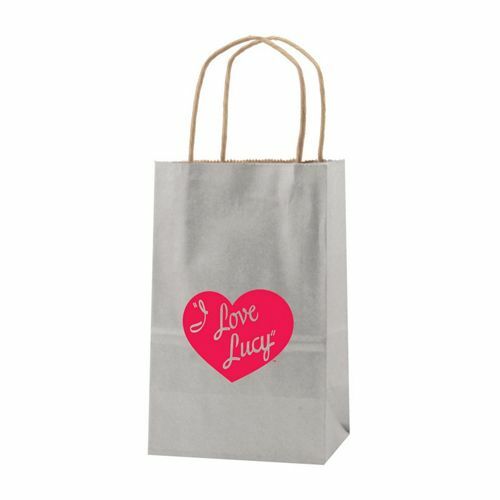 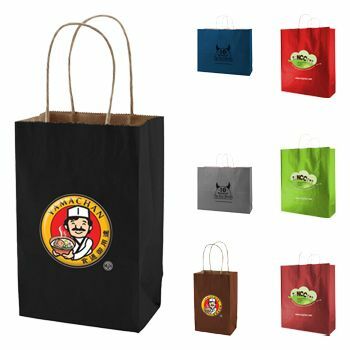 Boldly draw attention to your professional brand with these natural kraft shopping bags that are ideal for items of many different sizes. 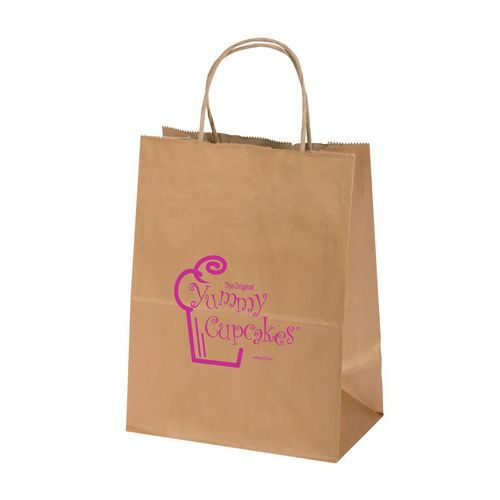 The chic, high-end look and feel of these recyclable bags are sure to impress your guests! 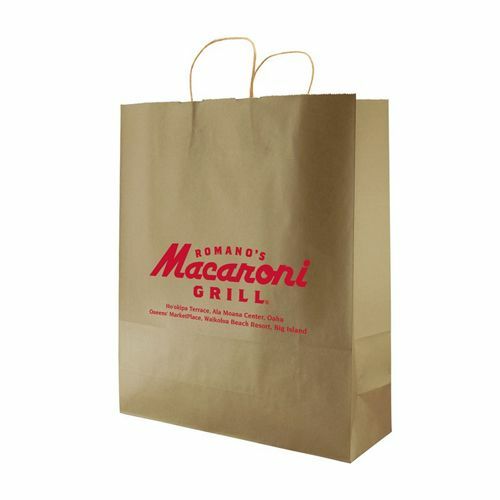 Now showing the options for "1 Color - Hot Stamp Foil"
5.5 X 3.25 X 8.37"
8 X 4.75 X 10.5"
16 X 6 X 13"
16 X 6 X 19.25"
These kraft paper shopping bags are made with attractive precious metal colors like copper penny, hi ho silver and gold rush. 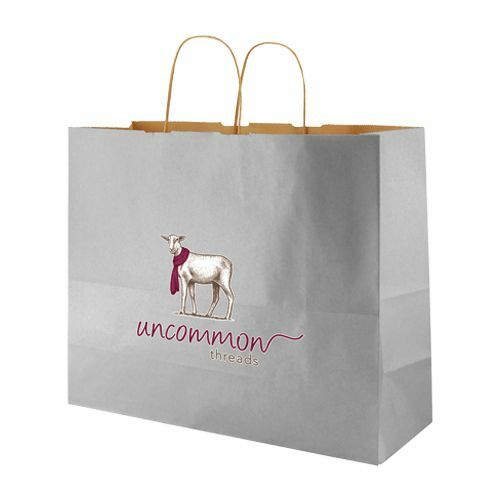 Added elegance is displayed with a serrated cut top and twisted kraft paper handles that proudly display your custom brand, image or logo in metallic coating. Perfect for restaurants, hotels, beauty products or any industry; theses bags are sold per case and sold in different sizes to allow the easy transportation of larger and smaller items. Rush production is available, and on-time production is guaranteed. 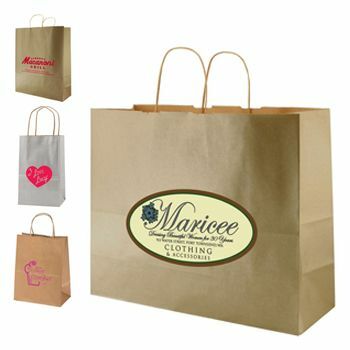 Start impressing your customers by ordering today!